Game Recap: Basketball The Lady Eagles defeated Olentangy 53-27 bringing their record to 12-3. It was a great defensive effort and the Eagles were led offensively by Junior Alyssa Tarney with 12 points and Junior Avery Schone with 10 points. Game Recap: The Big Walnut Boys stay red hot improving to 7-1 while shooting their season high 2335. They were led by Johnny LeMaster’s both team high game and series. Johnny shot a 439 series with a high game of 245. Both Bryan Mengel and Brayden Buchs also added their season high series. Mengel shot a 424 with a high game of 236 while Buchs shot a 391 series with games of187-204. Friday both Big Walnut teams face Westerville South with the winner taking over 2nd place in the Division. This Match will feature 2 of the top teams in the Division for both Boys and Girls. DeSales was led by James Jackson’s 389 series. Game Recap: Big Walnut Girls were led by Anna Tanner’s 375 and Kaitlyn Morrison’s 374 series to continue teams best start to the season. Kaitlyn led all bowlers with a high game of 204. Anna threw a 188 and 187 while Caitlyn Lambert added a 162. DeSales was led by OliviaHoulihan’s team high 318 series. 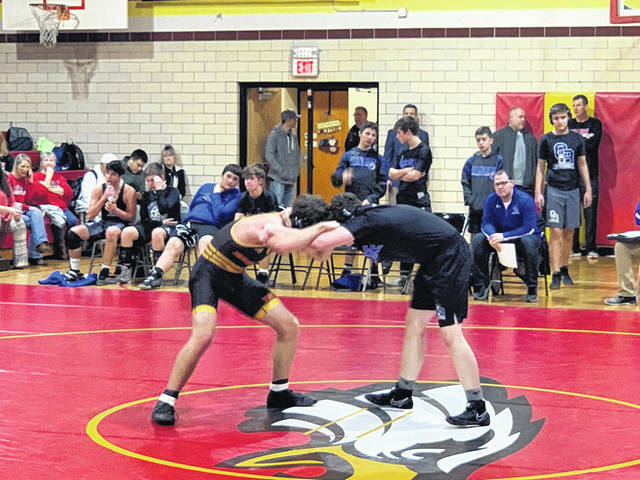 Game Recap: BW High School Wrestlers teamed up with the Middle School Eagles to host a double header at the Intermediate School Gym. BWMS started the night off against Olentangy Berkshire at 5 p.m. Then the BWHS Eagles took the mat at 6 p.m. The small gym and the large crowd made a great night of wrestling. The OCC Capital match began at 220 lbs, where Junior Max Lenz started the team off with a pin. Senior Levi Piceno fought from behind to win in sudden victory at 126 lbs. Senior Drew Armstrong (138) and Josh Halbakken (170) as well as Junior Ryan Coletta (152)pinned their opponents. Next up for the Eagles is the Watkins Memorial Tournament this Saturday. Information for this story was provided by the coaches.